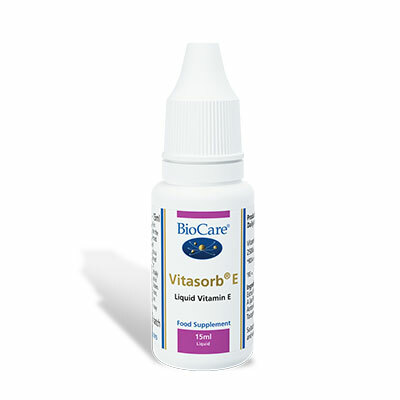 Vitasorb E is a liquid vitamin E providing 100iu per five drops in a simple hypoallergenic olive oil base. SKU: BIO25415. 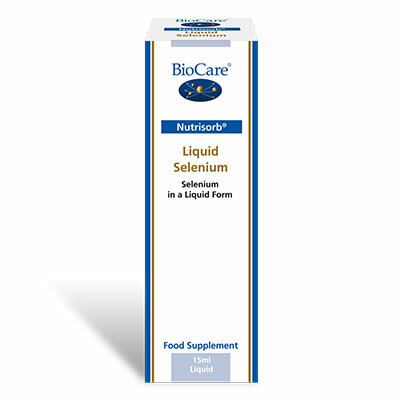 Categories: Liquid Vitamins & Minerals, Nutrisorb & Vitasorb Range, Vitamin E.
Vitamin E has been shown to be a potent antioxidant and is also involved in the maintenance of optimal skin health. 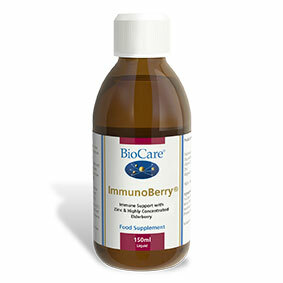 This liquid form of Vitamin E from Biocare offers ease of use and may be appropriate for sensitive individuals or those who cannot tolerate tableted and capsule formulas. Current research suggests individuals should not take supplements containing high dose Vitamin E in conjunction with Statins or other Cholesterol lowering medications.